The ASHRAE Student Branch of Manipal University Dubai invites all interested to attend a guest lecture on “Problem Solving and Creativity” by Dr. Victor W. Goldschmidt, Emeritus Mechanical Engineering Professor, Purdue University and ASHRAE Distinguished Service Award recipient & Fellow, to be held on 1st March 2015. This session is especially organized for the benefit of Engineering students specializing in Mechanical and Mechatronics Engineering. 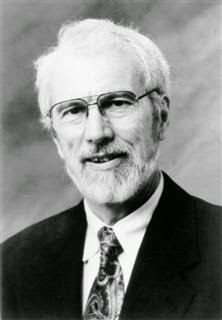 The speaker, Victor W. Goldschmidt, Emeritus Mechanical Engineering Professor, served at Purdue University from 1964 through 2000. He is currently serving as a Leelanau County Planning Commissioner as well as a facilitator and engineering consultant. There is a dramatic difference between the problem solving techniques presented to us in formal engineering courses, and the skills that are called for in actual practice. These differences will be outlined, leading towards a special focus on the need for cooperation between creativity and problem solving in engineering applications. The lecture will present the general steps in problem solving of definition, recasting, ideation, convergence, and validation/implementation. The lecture will end with a listing of “pet-peeves” which will include confusing cause and effect and violating the scientific method. Venue : Auditorium, 3rd Floor, Block A.